Earlier today we reported that EE, the parent company of T-Mobile and Orange that was formerly known as EverythingEverywhere, has announced the availability of its latest “4G ready” smartphones, as it gears up to roll out its superfast mobile network in time for Christmas. 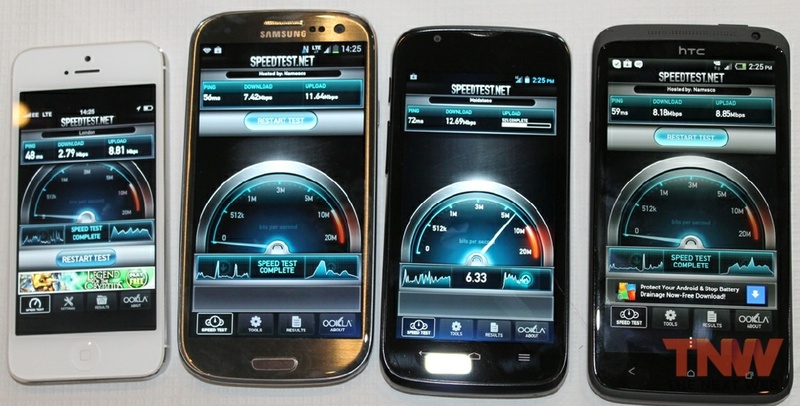 While we already knew these handsets were coming to EE, the announcement today confirmed the Samsung Galaxy SIII LTE, HTC One XL and Huawei Ascend P1 LTE will be made available on Orange and T-Mobile from today. 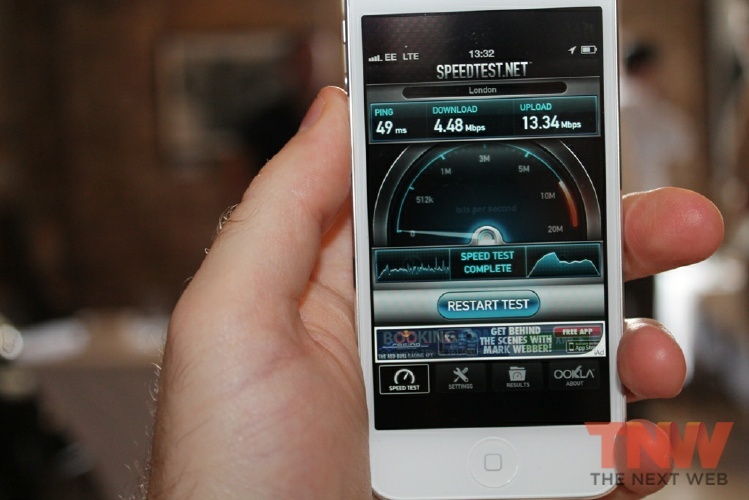 This is in addition to the 4G-enabled iPhone 5 which is already available, so we took the opportunity to see just how well Apple’s latest smartphone will perform on the new superfast mobile network. 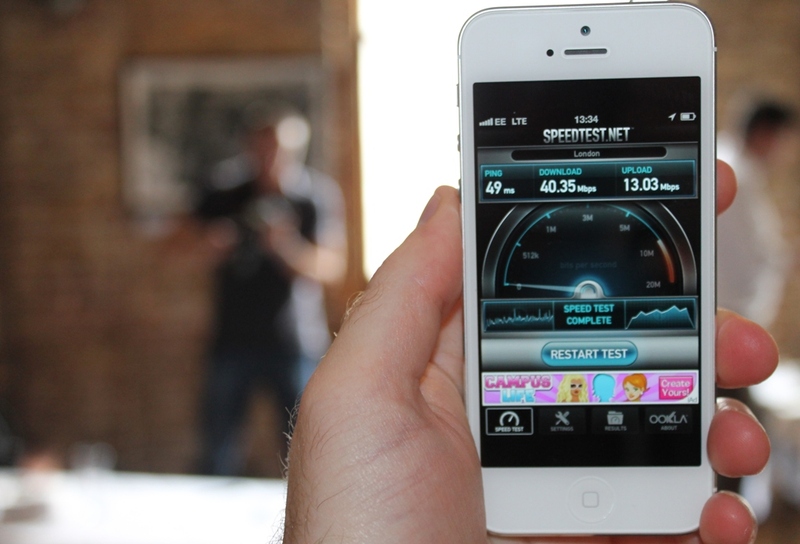 We’re pleased to say that – for the most part – 4G was significantly faster than 3G, as you’d expect. However, in our tests the speeds did vary from minute-to-minute. We did the speed test around ten times, and it was typically around the 20-30Mbps mark for downloads, and always hovered around 13Mbps for uploads. The lower end of the spectrum (e.g. less than 10Mbps) wasn’t too common, but it was common enough – so we asked Tom Bennett, Director of Network Services and Devices Development at EE, to explain these variances and what kind of speeds consumers can typically expect when 4G hits the public. So when will 40Mbps be the average, rather than an occasional treat? So, the much-mooted “up to 40Mbps” really is just a top-line figure to get tongues wagging then? Well, as we’ve seen, EE does make it clear that customers can expect around the 8-12Mbps mark as standard, and if you do manage to regularly get upwards of 20Mbps then you’ll be doing well. We’re told that realistically, the giddy heights of 40Mbps will be attainable around 10% of the time, and will be seen a lot more in the early days of launch – it will likely drop as more people jump on board the 4G bandwagon. This does make sense – the more data-sapping smartphones that plug in, the less bandwidth there is to go around. However, perhaps the more important test here is how 4G compares with 3G…it’s fair to say that most mobile users around the country will be happy enough with a significant jump from what they’re used to. As we’ve already seen, however – and by EE’s own admission – a typical 4G speed should be around the 8-12Mbps mark, which is roughly what you may already be getting on 3G – so it remains to be seen how much better and consistent 4G proves to be on a regular basis when it’s live with the public. Our tests showed that 20-30Mbps was about the norm, but this will likely drop when more people jump on board. Finally, there’s nothing like a real-world test to show what a new technological service can offer…so we put 4G up against 3G to see how much faster it downloaded a large app. The result? 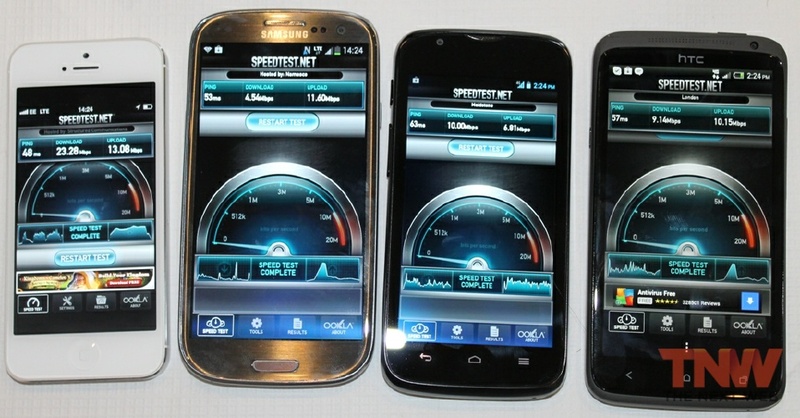 Well, we carried out this test four times – three times 4G was significantly faster than 3G, but on one occasion 3G actually came out on top. 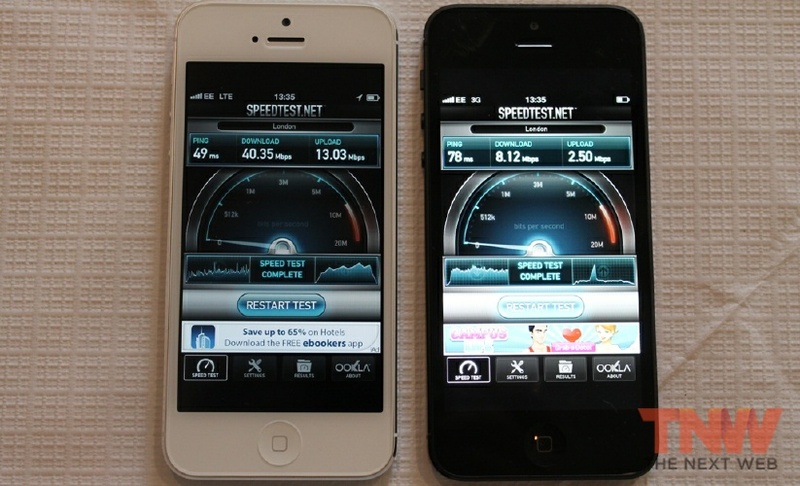 This helps to show that while 4G is generally much better (as you’d expect), it’s by no means bullet proof yet.